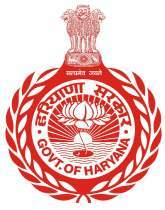 The general administration of the district is vested with the Deputy Commissioner, who for administrative purposes, is under the Divisional Commissioner, Hisar. He is at once the Deputy Commissioner, the District Magistrate and the Collector. As Deputy Commissioner, he is the executive head of the district with multifarious responsibilities relating to development, panchayats, local bodies, civil administration, etc. As District Magistrate, he is responsible for law and order and heads the police and prosecuting agency. As Collector, he is the chief Officer of the revenue administration and is responsible for collection of land revenue, and is also the highest revenue judicial authority in the district. He acts as the district Elections Officer and the Registrar for registration work. He exercises over-all supervision on other government agencies in his district. He is, in short, the head of the district administration, a coordinating officer among various departments and a connecting link between the public and the government so far as he executes the policies, administers the rules and regulations framed by the government from time to time . He is the executive of the district with numerous responsibilities in the sphere of civil administration, development, panchayats, local bodies, etc. Due to immense importance of his office, the Deputy Commissioner is considered to be the measuring rod of efficiency in administration. The Deputy Commissioner has an Office Superintendent under him, to supervise the work of the clerical staff. He guides functioning of different branches of his office. Each branch is headed by an Assistant and is functionally known after him. For example, the branch looked after by Establishment Assistant (EA) is known as the EA Branch, the one under Miscellaneous Assistant is known as the MA Branch, etc. etc. An Assistant has to perform two types of functions-supervisory and dispositive i.e. he has to supervise the work of the officials working under him, and also to dispose of many cases either at his level or by putting them up to his senior officers. An Assistant has one or more Clerks under him. The Deputy Commissioner is the highest Officer of revenue administration in the district. In revenue matters, he is responsible to the Government through the Divisional Commissioner and the Financial Commissioner, Revenue. He is responsible for the collection of land revenue, other kinds of Government taxes, fees and all dues recoverable as arrears of land revenue. He is responsible for ensuring the maintenance of accurate and uptodate records of rights as regards the land. He is also the appointing authority for Patwaris and Kanungos and ministerial staff posted in the tahsil offices, and in the offices of Sub Divisional Officers (Civil) and Deputy Commissioner except in the case of Superintendent of Deputy Commissioner’s Office and for most of the subordinate revenue staff in the district. As the District Collector, he is the highest revenue judicial authority in the district. The Deputy Commissioner is responsible for the maintenance of law and order in the district. He is the head of criminal administration and supervises all Executive Magistrates in the district and controls and directs the actions of the police. He has supervisory powers over the administration of jails and lock-ups in the district. Besides his above mentioned duties as Deputy Commissioner, District Collector, and District Magistrate, he plays an important role as Deputy Custodian, under the Displaced Persons (Compensation and Rehabilitation) Act, 1954. In this capacity his duties are: revision against the orders of Tahsildars and Officer-in-Charge, Rural, regarding allotment of land and houses in rural areas; revision against the orders of the District Rent Officer, regarding allotment of houses and shops in urban areas and disposal of cases received from the Assistant Custodian (Judicial) regarding evacuee property. The position of Deputy Commissioner as head of the district administration has become one of expanding responsibilities. As he is the executive head of the civil administration, all departments in the district, which otherwise have their own officers, look to him for guidance and co-ordinaticn. He plays an important role in the administration of municipal committees, market committees, panchayats, panchayat samitis, community development blocks and the zila parishad, which came into existence with the decentralisation of authority and expansion of the Panchayati Raj. He is also responsible for the execution of rural development schemes. Besides, he is responsible, as District Election Officer, for the peaceful and orderly conduct of all elections held in the district from time to time. For elections to Lok Sabha constituency/constituencies of his district, he functions as Returning Officer. He renders active help during decennial census. He controls and regulates the distribution of scarce essential commodities, etc. He keeps liaison with military authorities in his jurisdiction and is the Competent Authority for requisition of land for military purposes. In any matter of public importance which does not fall specifically in the sphere of any government department, State or Central, he, as a general administrator, is required to take cognizance of the matter in public interest and take it to its logical conclusion with the help of some Government department or by processing the matter in his own office. In short, there is nothing of importance which takes place in the district with which he is not associated, directly or indirectly. The Sub-divisional Officer(Civil) is the chief civil officer of the Sub-Division. In fact, he is a miniature Deputy Commissioner of his Sub-Division. He possesses adequate powers to co-ordinate work in the sub-division. He exercise direct control over the Tehsildars and their staff. He is competent to correspond directly with government and other departments on routine matters. His main duties, like those of the Deputy Commissioner, include revenue, executive and judicial work. In revenue matters, he is Assistant Collector Ist grade but the powers of Collector have been delegated to him under certain acts. The powers and responsibilities of the Sub Divisional Officer relating to revenue, magisterial, executive and development matters within his jurisdiction, are analogous to those of the Deputy Commissioner. His revenue duties include supervision and inspection of all matters from assessment to collection of land revenue; co-ordination of work of all officials in the subdivision, particularly in the departments of Revenue, Agriculture, Animal Husbandry and Public Health within the subdivision. His magisterial duties are: liaison and co-ordination with police in the subdivision; watch over the relations between various communities and classes; special precautions and actions in emergency, especially connected with festivals; and recommendations to the District Magistrate, when he is himself not competent, for grant of arms licences. He has ample powers under the Criminal Procedure Code, Punjab Police Rules, and other laws to exercise effective supervision over the law and order situation in his area. In his executive capacity, he can call for any of the records and registers which deal with crime, from a Police Station and can call the Station House Officer of Police Station to come to him to explain the matters. He can bind down anti-social elements for peaceful conduct over a period. He commands closer contact with the public and more intimate association with the local bodies and market committees. He also plays an important role in the rural development programmes. He needs co-operation and help from other Government officials in the subdivision for the smooth running of administration and successful implementation of development schemes. On important policy matters, however, he is required to route the matters through the Deputy Commissioner. For the elections to the Vidhan Sabha, he is generally appointed as Returning Officer for the constituency/ constituencies in his jurisdiction. For elections to the Lok Sabha constituencies , he is generally appointed as Assistant Returning Officer. He is the chief administrative officer under the deputy commissioner and assists him in all executive and administrative functions. He is not required to do touring in the district but stays at the headquarters to supervise the work of the office. He also functions as the District Electoral officer. In addition to the above the General assistant attends to a lot of miscellaneous work. Panchayat Samitits, Local Bodies and Panchayats.